I found this recipe in a Frys Foods free e-recipe book online and made it for breakfast yesterday. It was easy, tasty and filling. Chia is an ancient seed with more Omega 3 and Dietary Fibre than any other food from nature. 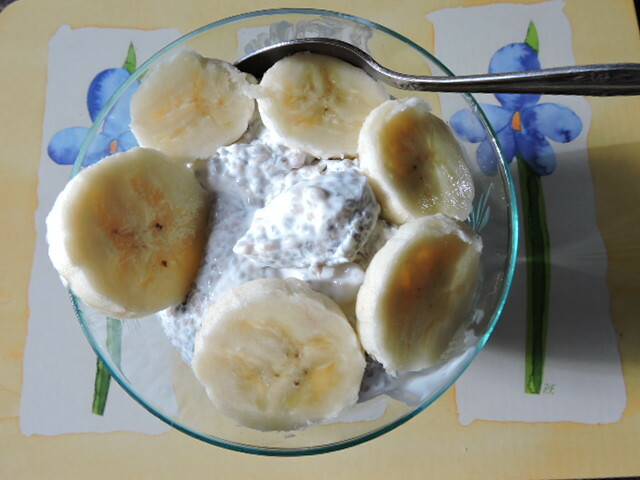 I had a small bowl topped with sliced banana and found it really filling. Normally by about 10am I am hungry again but this breakfast kept me going until lunchtime.